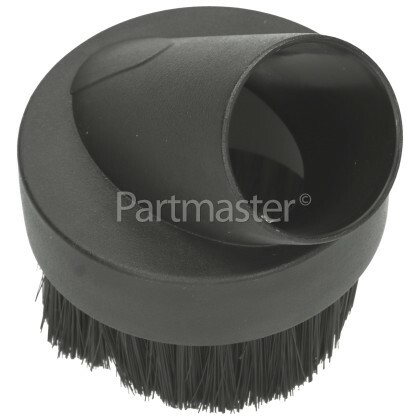 This Universal 32mm Dusting Brush is the must have cleaning attachment for cleaning dusty areas. Featuring natural bristles, this dusting brush can gently clean delicate surfaces and is great for dusting precious furniture or scratch-sensitive objects. Small and round in shape, you can use this tool is for general dusting and it's ideal for any item that has accumulated dust, cobwebs or crumbs like your computer keyboard, speakers, skirting board mouldings, ceiling fans, window blinds, lampshades or drapes, etc. Slot this tool onto your vacuum's hose and make dusting delicate and difficult surfaces easier and more efficient. Standard vacuum tools can be too wide and heavy to accurately clean awkward and delicate surfaces without causing damage. It is also ideal for cleaning dust from overlooked places such as windowsills, venetian blinds, lighting fixtures, houseplants, screens and curtains. With its compact round design and bristles, you can use it for more delicate areas. 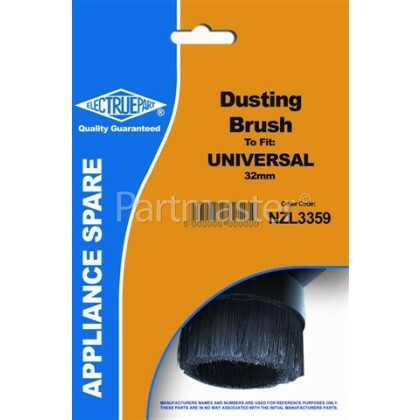 Rather than using a traditional duster that will spread all the dust around for you to then vacuum up, give this Universal 32mm Dusting Brush a try. 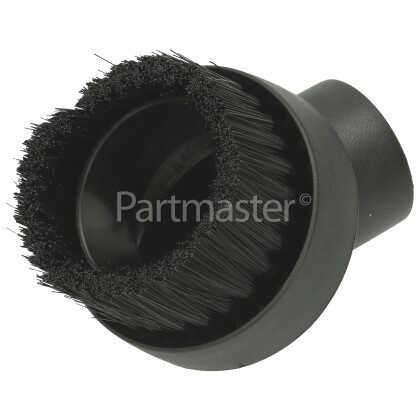 This is a universal 32mm Dusting Brush that is suitable for vacuum cleaners that have a 32mm diameter hose connection, please check your vacuum connection fitting size to ensure that this product is suitable.